Cash rewards and incentives amounting to at least Rs 3.5 crore were announced by the Haryana government after Sakshi Malik created history at the 2016 Rio Games. Sakshi Malik became the darling of the country after winning a bronze medal at the 2016 Rio Olympics. Not only was it India's first medal of the Rio Games but she also became the first woman wrestler to win an Olympic medal. Sakshi received a hero's welcome when she returned to the country. A grand state welcome was also accorded by the Haryana government and many promises were made. However, the Olympic medallist has now claimed that she is yet to receive the incentives promised to her by the Haryana government. "Medal ka vada maine pura kiya, Haryana sarkar apna vada kab pura karegi? (I fulfilled my promise of winning an Olympic medal, when will Haryana government fulfill its promise? )," tweeted Sakshi. "Announcements made by Haryana Government after my OLYMPIC MEDAL win were for MEDIA ONLY ?," she added further. 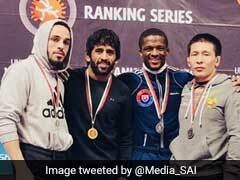 Haryana's sports and youth affairs minister Anil Vij, who was present in Rio as head of state delegation, had accompanied the wrestler on the return flight. After landing in Delhi following her exploits in Rio, she had travelled to Bahadurgarh in Jhajjar district, where Haryana Chief Minister Manohar Lal Khattar along with his senior cabinet colleagues Abhimanyu and OP Dhankar, among others, welcomed the star athlete. Cash rewards and incentives amounting to at least Rs 3.5 crore were announced by the Haryana government after Sakshi created history at the Rio Games last year. 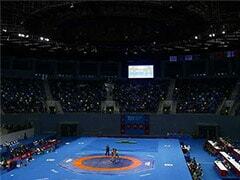 Government of Haryana -- Sakshi's state -- had announced before Olympics Rs. 6 crore for gold medallists, Rs. 4 crore for silver and Rs. 2.5 crore for bronze winners. 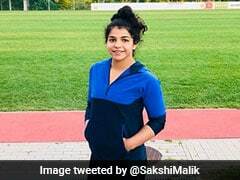 Sakshi, who hails from Rohtak, had clinched the bronze in the 58kg freestyle category.